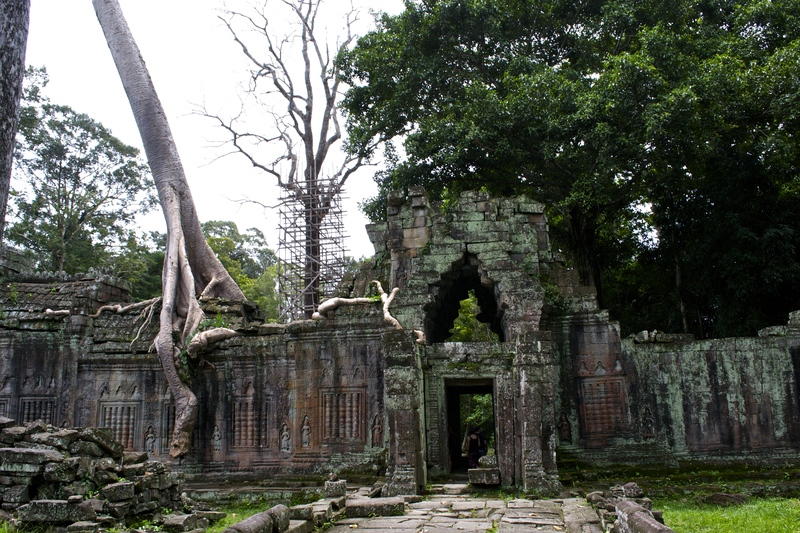 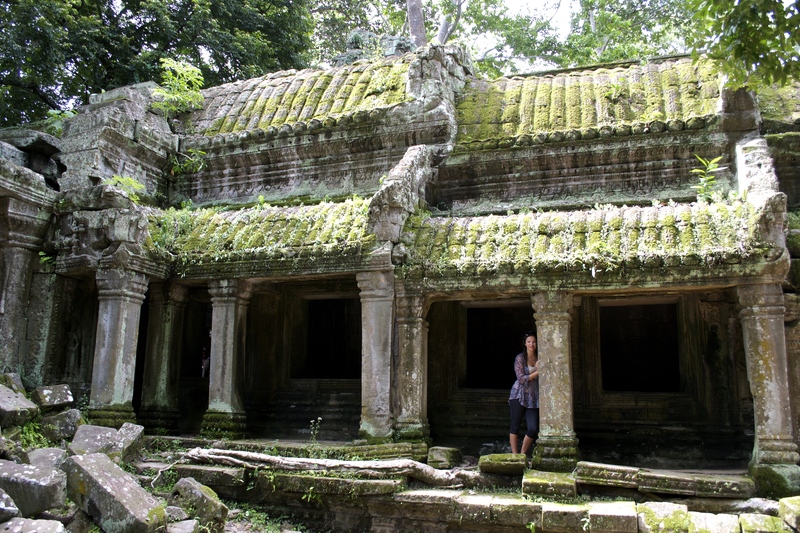 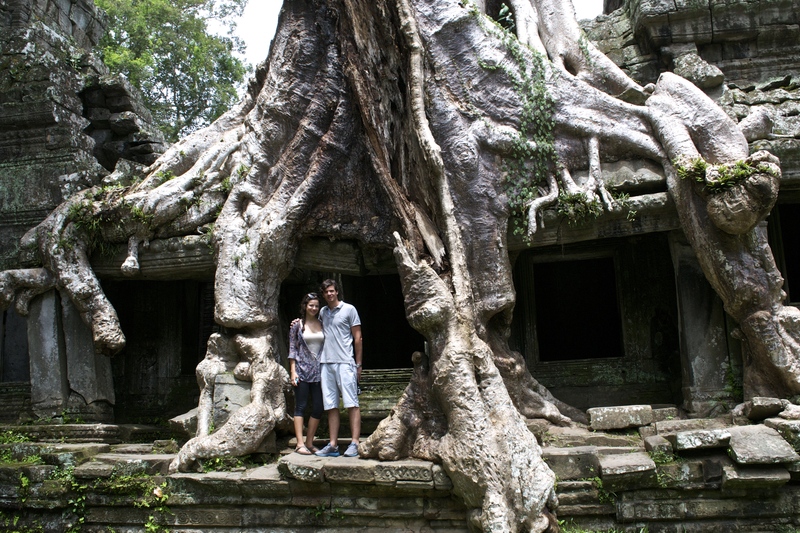 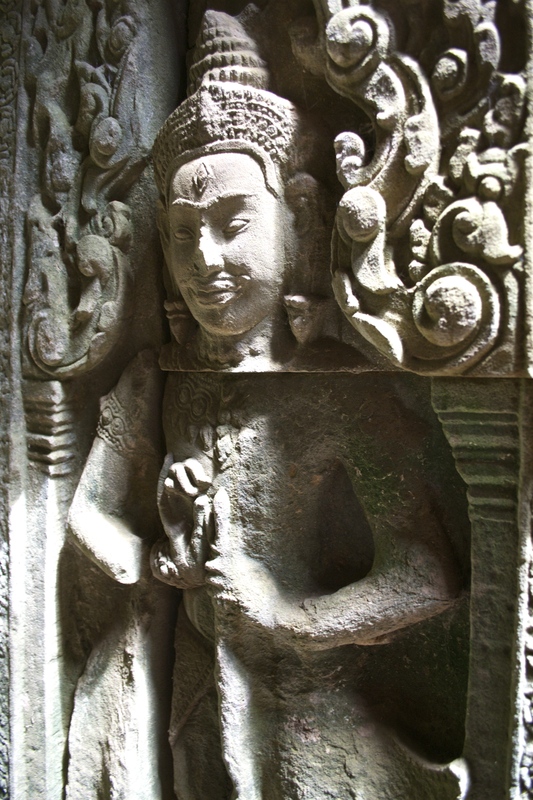 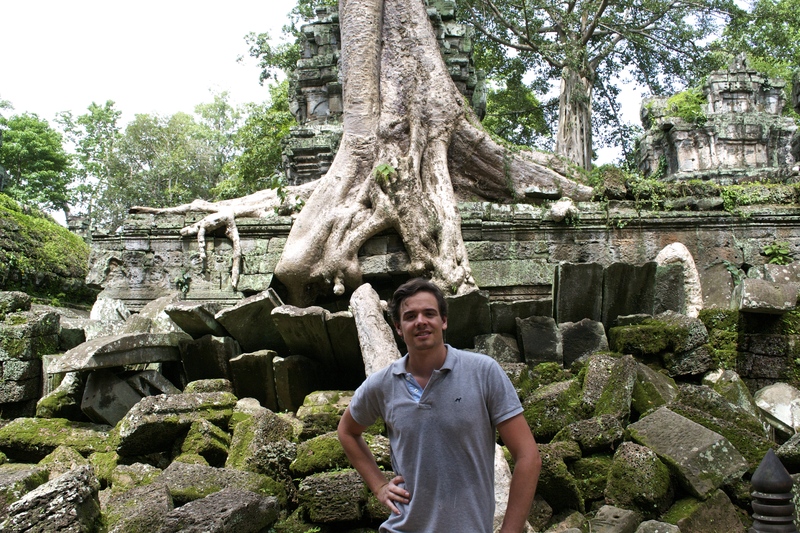 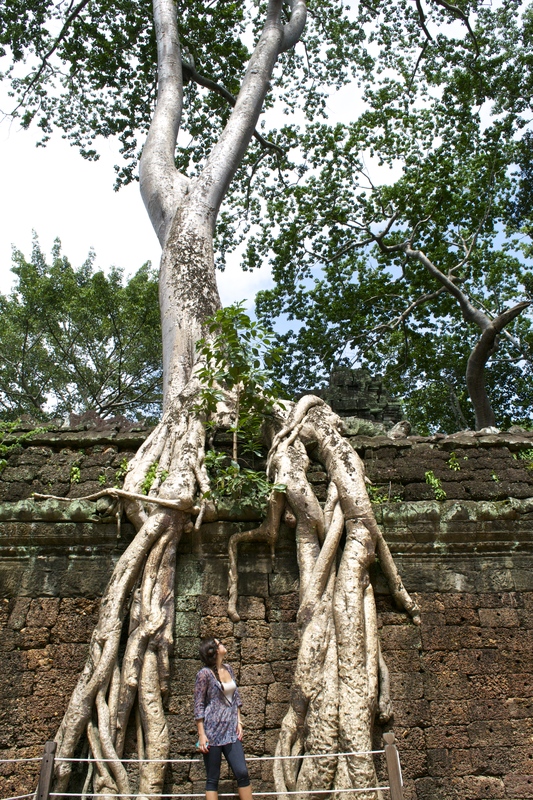 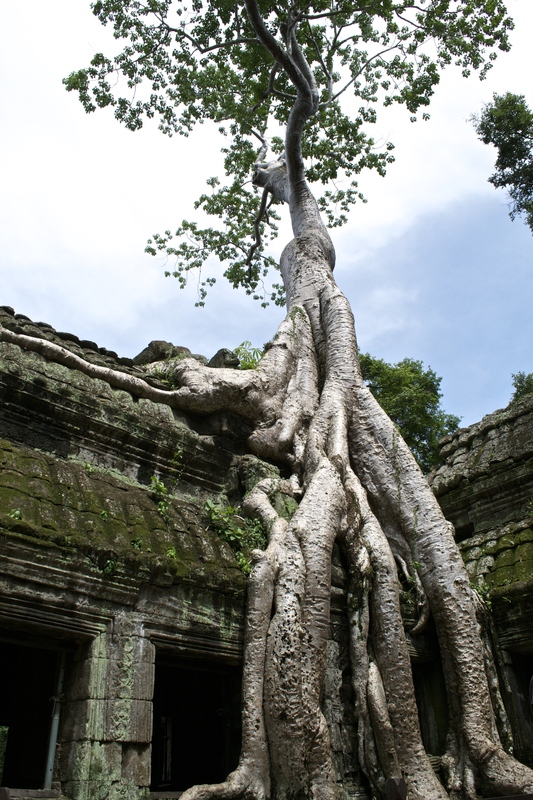 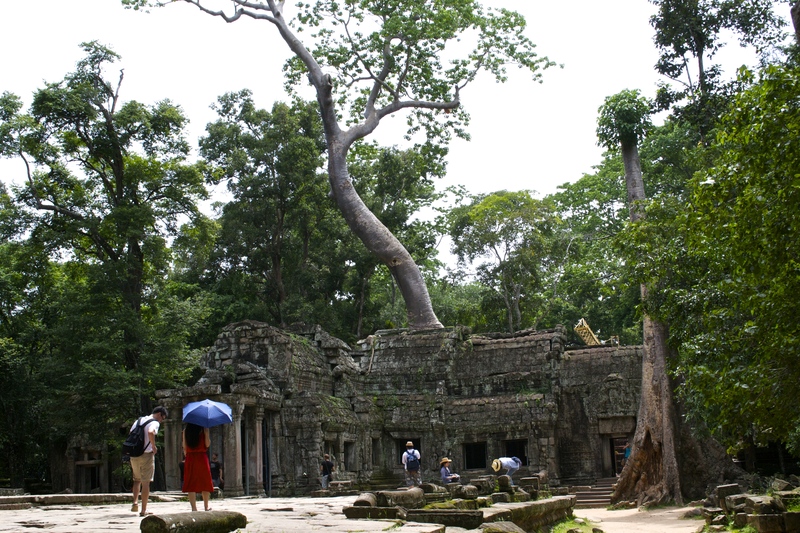 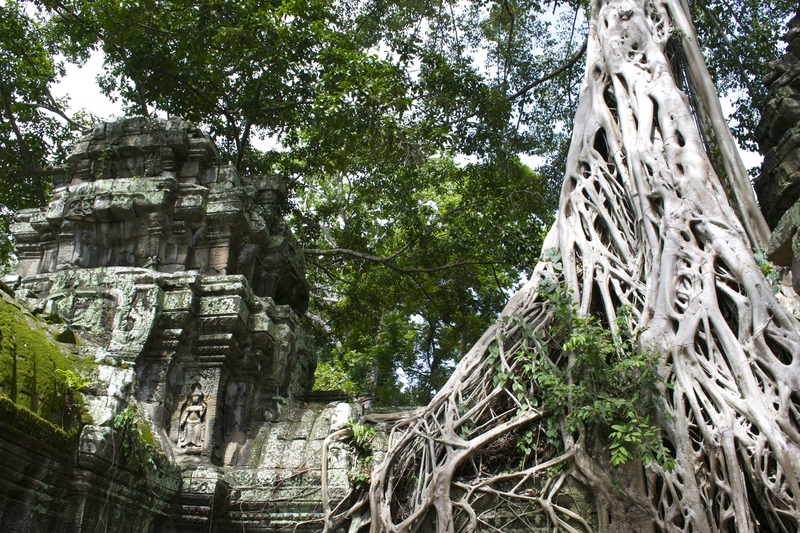 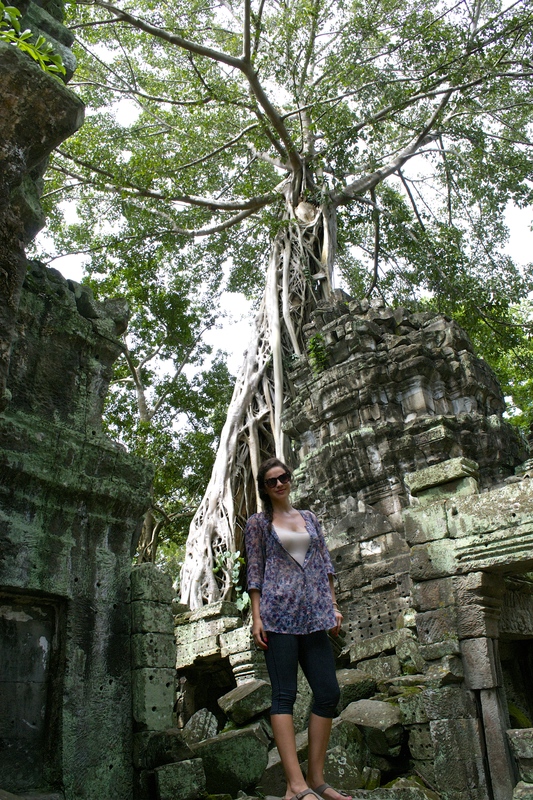 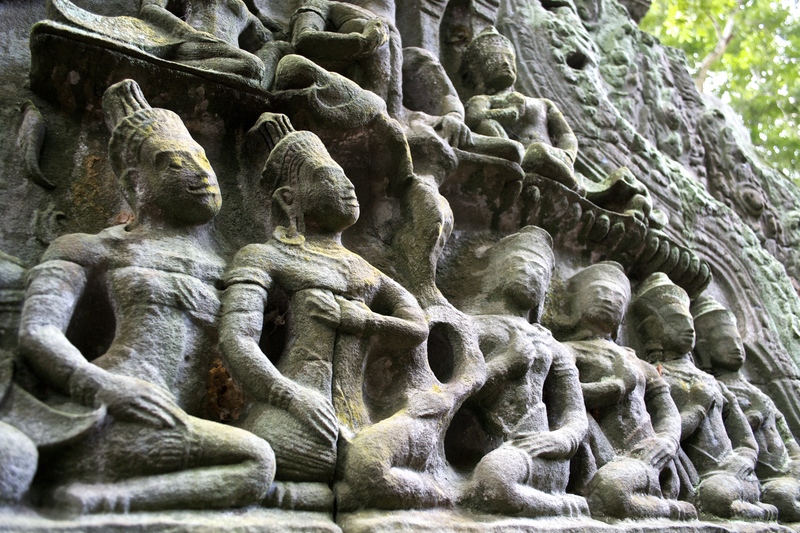 It’s hard to imagine these amazing pieces of history and culture being neglected for centuries, but that’s exactly what happened to Ta Prohm. 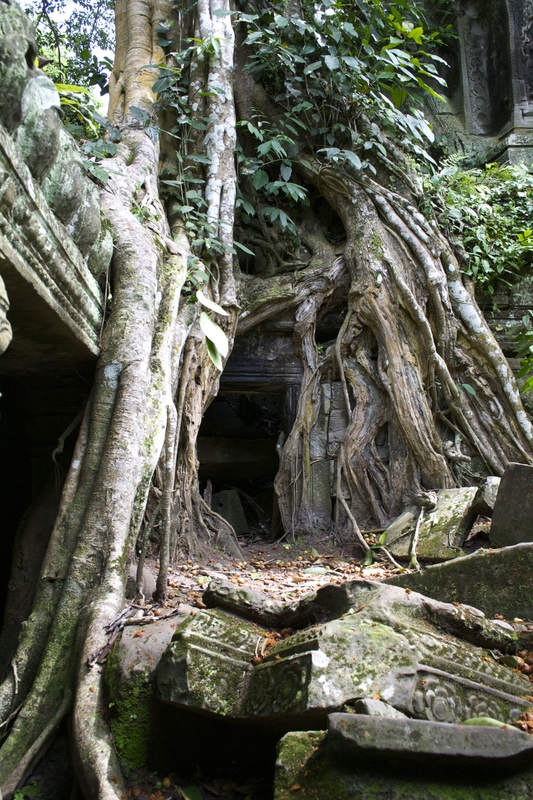 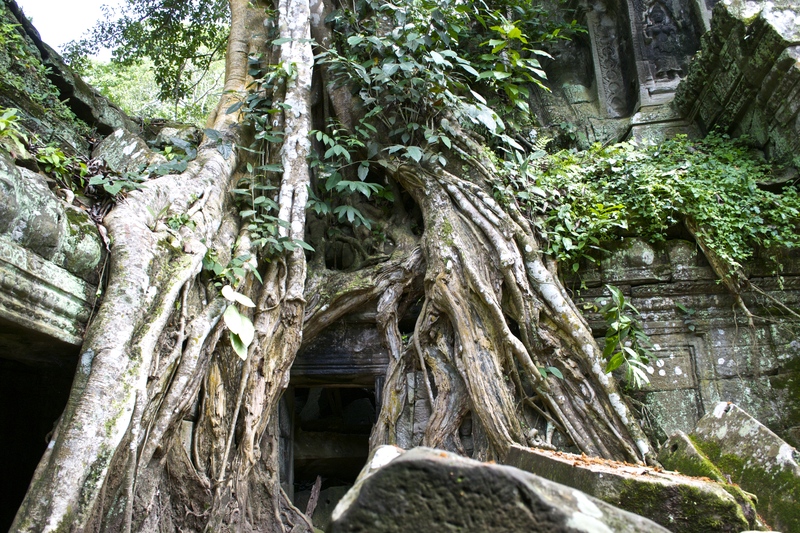 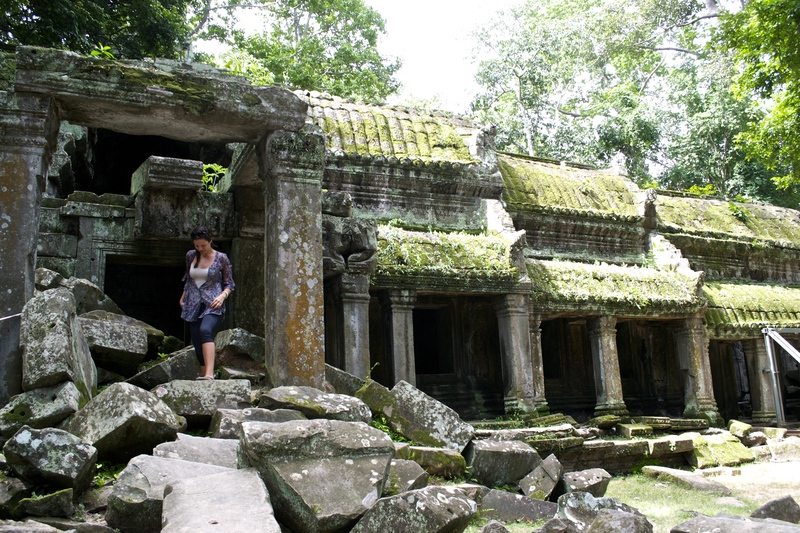 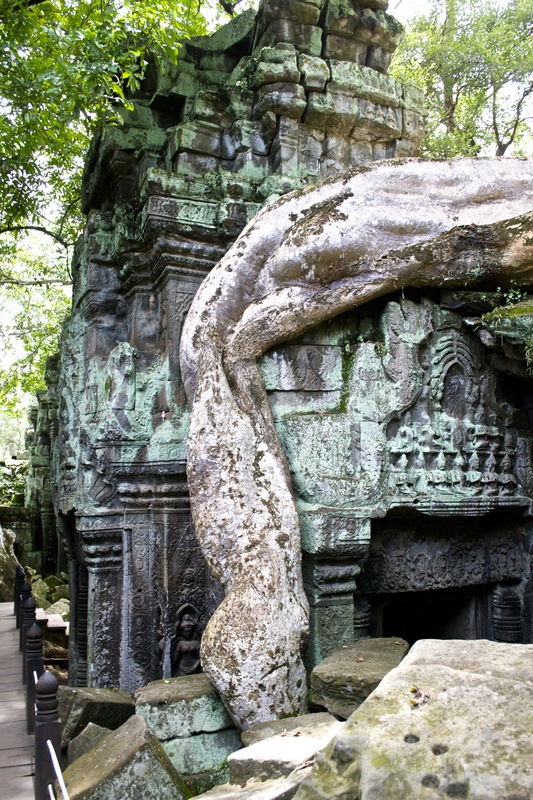 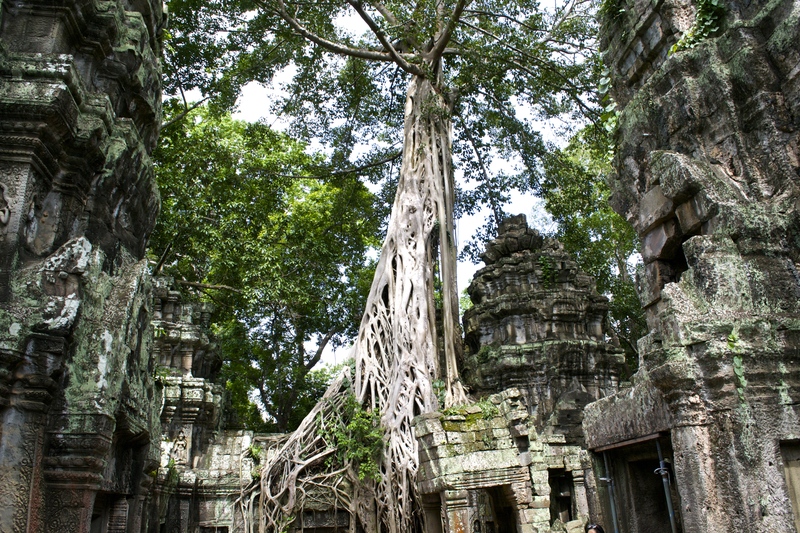 After being abandoned in the 15th century, Ta Prohm was left to fall into ruin, with only the jungle devouring it, giving it the awe-ispiring look that draws tourists today. 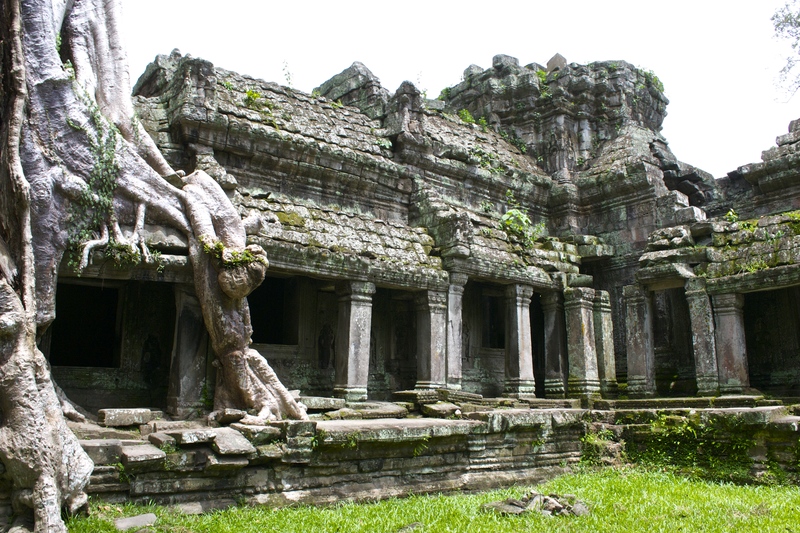 What makes this temple so intriguing is that time has fused nature with the temple itself, and it is one of the most famous temples because of its stunning photogenic features and unique sate. 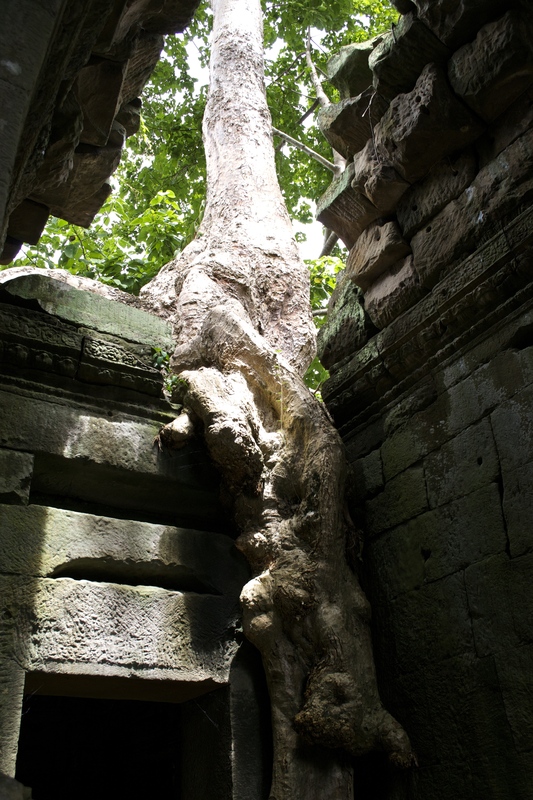 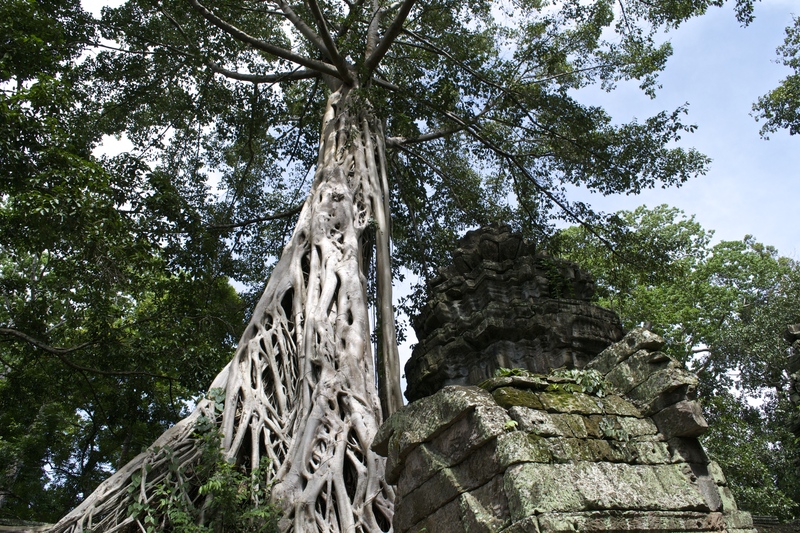 Since the temple wasn’t built with mortar, it wasn’t so difficult for nature to fuse with the man made monument. 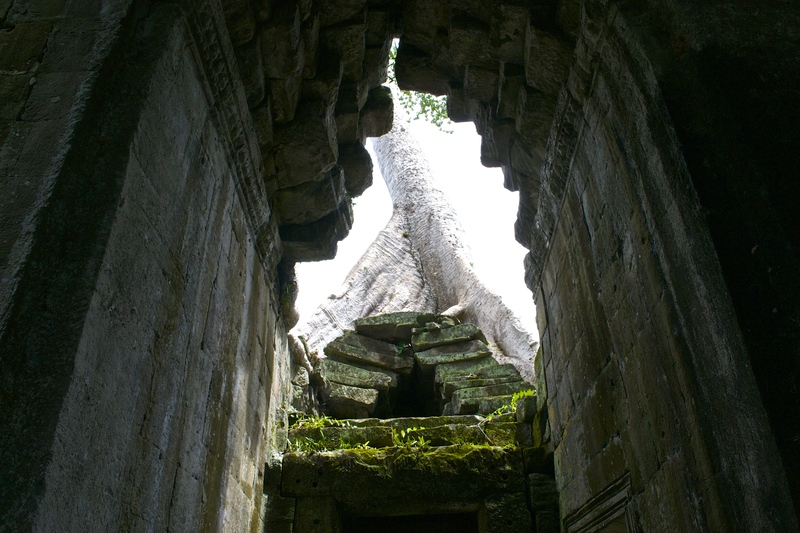 Dense jungle surrounds this monument, and tree and their trunks twist and turn around the beautiful pillars, walls and archways.